This sifter is intended for use on the 4 oz. clear spice jars. The sifting holes are 1/4" in diameter. 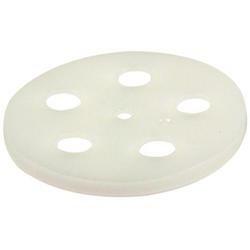 Also available with 1/8" sifting holes. Compatible spice bottle #8724 and bottle caps #8725 are sold separately.